World's Greatest Places Mosaics 3 is rated 3.6 out of 5 by 11. Rated 5 out of 5 by grandmacathy from Excellent grid game!! I love these grid games! I found one years ago before Big Fish games and played over and over again- that one had a pyramid, I think. When the game became too old for me to play any longer, I truly missed it. But then Big Fish started putting these games out every once in a while, and then more frequently as they caught on. Just having the grids and numbers was enough for a long time. Then the penguins added colors. Wonderful addition! Now the World's Greatest adds shapes. Even better! I admit, the shapes were a little hard to get used to. So the idea of first colors, then one level of shapes, and now an additional level of ovals, triangles or squares on TOP of the colors is intimidating at the beginning. I like that it makes me think more, and in different directions. I can't wait to see (and play!) the next creation to my beloved grid game! Rated 5 out of 5 by tnrsmith from Good puzzle I like the white background that makes it easier to see the puzzles without a lot of distractions. I find the shape puzzles challenging enough to keep me thinking. You never have to guess; if you are determined, thorough, and patient, each puzzle can be solved logically - which is the point of these puzzles. Sorry, I do not hear the music so I cannot speak to how the quality is. Rated 5 out of 5 by verimeri from unusual and fun For me this was a really great game. I have always loved shape mosaics. Instead of simple numbers with spaces in between you work with various shapes. This game is about 80% shapes. They are more of a challenge than the usual. The new one where you superimpose the shapes after completing the basic puzzle was quite a twist. If you are looking for something out of the box, something that is a bit more of a challenge than the usual ho-hum all numbers this is the game for you! May seem confusing at first but once you get the hang of it, it is super fun. Rated 5 out of 5 by taurgem52 from Another Great Game I love this series! I don't have any problem seeing the squares. On the shapes screens the numbers light up for whatever shape you are doing. I played the whole trial and bought it after. No problems with glitches etc. Rated 5 out of 5 by MrsBen from I, FOR ONE, THINK THIS GAME IS REALLY GREAT!! 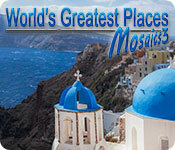 There is such a variety of things to do in WORLD'S GREATEST PLACES MOSAICS 3!! Yes, the music cuts out now and then, but that isn't an issue for me. It's fun dealing with the varieties of shapes. You even get to finish with all square shapes in various colors and then, you get to imprint different shapes on top of the squares!! Huge fun! You have to be alert to what you are doing and what's required, but isn't that what puzzles are all about? And, it's interesting to read the articles about the different places, complete with slideshow. Lots of work went into this game! Rated 4 out of 5 by pennmom36 from AT LEAST THESE DEVELOPERS TRY TO ADD NEW MOSAIC STYLES (some work, some don't but they always try!) 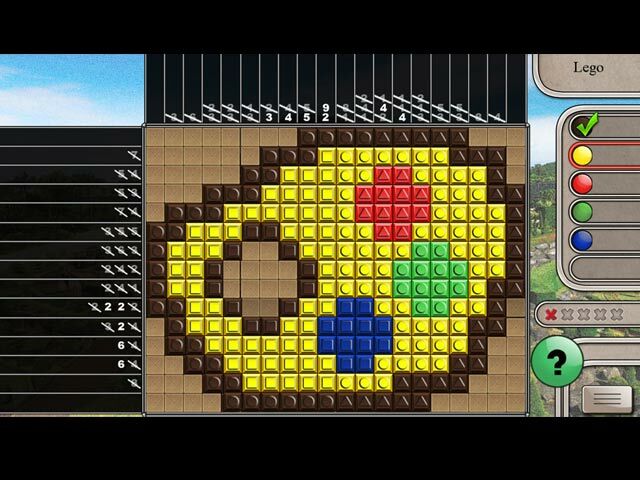 I love the Shapes style mosaics this game offers, but after playing the recently released Spring In Japan Mosaics game, I found the Traditional Multi-Colored mosaics offered in this game to be rather bland. I also thought the boards could be a little bigger, they jump between sizes from puzzle to puzzle, and some are quite small. Once again, you can choose the difficulty of the puzzles from several options. Casual mode has no timer, numbers are crossed off one by one and the hint timer recharges quickly. Normal mode has a timer with plenty of time, numbers are still crossed off one by one, and the hint recharges slowly. Expert mode gives you limited time to complete each level, numbers are crossed off only when an entire row has been completed, and the hint recharges very slowly. However, there's also a Custom mode setting that allows you to choose whether or not you want a timer, how long the hint takes to recharge from 30-120 seconds, how many mistakes you are allowed from 1-5, whether you want the numbers crossed off one by one or when an entire row is completed, and whether you want a time bonus. In this version of World's Greatest Places Mosaics 3, there are 3 different mosaics styles, Traditional Multi-colored Mosaics, Shapes style where you are challenged to not only switch between colors but between colors and shapes. The numbers located on each column and row will indicate the shape, for instance, there might be a number 5 that has a circle around the number, indicating that you must switch to the circle shape button, or it may have a square or a hexagon shape around the number. The third type is really just an extension to a normal Griddler, where you have to place different shapes on to the picture just completed. It works the same way even though it looks complicated, after filling in all the cells, the picture remains and a whole new set of numbers appear. This time it's to figure out where the various shapes are placed, which gives the picture texture, but just ignore the picture and solve the shape placement the same way you solve any other griddler. 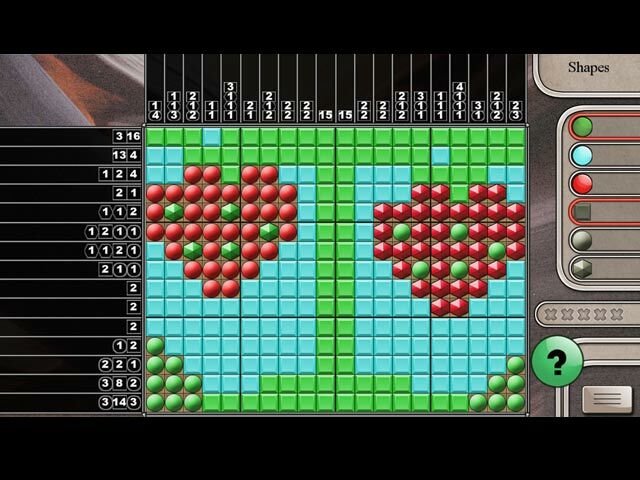 The coolest part about Mosaics offered by this developer is that you can choose the order you want to play the grids, in each level, if you want to play all of the swap types first, you can, in fact, you can play the mosaics in any order you want! World's Greatest Places Mosaics, also gives you some interesting facts and pictures of different places around the world. I really like how they are able to add new twists to an age-old standard, enjoy! WORLD'S GREATEST PLACES MOSAICS SERIES Title***Release Date***Average Rating 1-World's Greatest Places Mosaics 1 (March 16-2016) 2.8 2-World's Greatest Places Mosaics 2 (September 6-2017) 4.8 3-World's Greatest Places Mosaics 3 (April 26-2018) 3.8 WORLD'S GREATEST CITIES MOSAICS SERIES Title***Release Date***Average Rating 1-World's Greatest Cities Mosaics 1 (March 7-2016) 3.5 2-World's Greatest Cities Mosaics 2 (October 20-2017) 4.6 3-World's Greatest Cities Mosaics 3 (December 11-2017) 3.2 4-World's Greatest Cities Mosaics 4 (April 4, 2018) 4.6 WORLD'S GREATEST CITIES/PLACES MAHJONG SERIES Title***Release Date ***Rating 1-World's Greatest Cities Mahjong (January 12-2012) 4.3 1-World's Greatest Places Mahjong (January 17-2012) 4.2 by: Oleksly Shtykov (T1 games) Donetsk Ukraine World's Greatest Cities Mosaics, World's Greatest Places Mosaics, Winter Mosaics, Spring Mosaics, Flowers Mosaics, Space Mosaics, Space Mahjong, Forest Mahjong, Flowers Mahjong, Ocean Mahjong, Winter Mahjong. World's Greatest Temples Mahjong, World's Greatest Cities Mahjong, World's Greatest Places Mahjong. Rated 3 out of 5 by ekstra2000 from No Reason for "Shapes 2" I love this series...and I have them all. I am disappointed, however, with the addition of the "Shapes 2" mode of play. It does nothing but add an extra layer of complexity when I have already solved the puzzle, and it does nothing to enhance the finished product. AFAIAC, they should bring back the labyrinths and/or the mystery lands...though I would love a "super-puzzle" that puts together the labyrinths and the mystery lands into a single "finished" piece. But the addition of the "Shapes 2" should go the way of the dinosaur, in my opinion. Rated 3 out of 5 by arnold1049 from NO VARIETY Where are the Mystery Lands and Labyrinth boards? There are only two types of boards; multi-color and shapes, with shapes predominating. 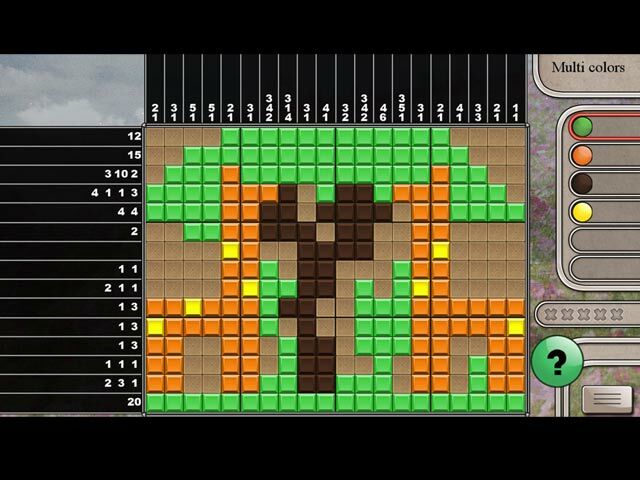 Definitely not up to the quality of the other World's Greatest Places/Cities Mosaics games. Very disappointing. Rated 3 out of 5 by romany09 from THE LAST TIME, SADLY THE GOOD NEWS: A wonderful, challenging game! Always something new including shapes, colors, and dynamic music. I bought the game after completing 3 boards. THE BAD NEWS: Although I always rate World's Greatest Places and World's Greatest Cities with 5 stars, I cannot do it this time. I know that previous reviewers have complained about the white on white squares. It is impossible for some of us to see this and it is like a punishment, detracting from the game. Why use it on the "Casual" choice? We don't all have 20-20 vision. Also, and I haven't come to this yet but feel I will, somewhere along the way the music stops while working on puzzles and doesn't start up until (sometimes) the next puzzle or until ending the game. I am complaining now in order to add my voice to the problems. Sadly, if the next game has white on white squares, I will not buy it. Recommended for those who have perfect vision and don't care about the music.